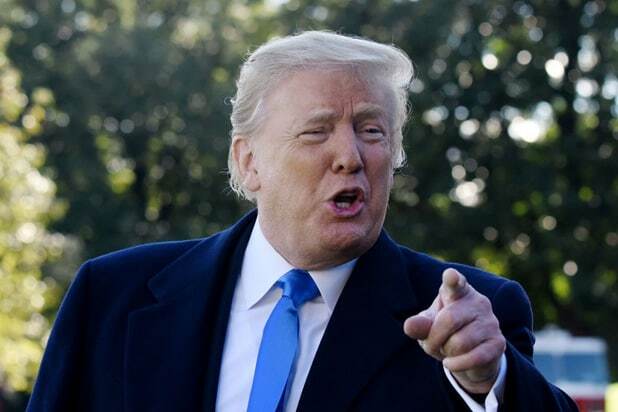 CBS viewers Sunday will have to run through a wall to get to the Super Bowl LIII — specifically, the Donald Trump-envisioned border wall the president is certain to discuss when he speaks with “Face the Nation” prior to the game. Trump’s insistence on nearly $6 billion in spending for the border wall led his partial shutdown of the U.S. government, which ended on Friday. The Congressional Budget Office says the shutdown cost the U.S. economy $3 billion that will never be recovered. Expect “Face the Nation” moderator Margaret Brennan, who will be conducting the interview, if it was all worth it. Other likely topics include the State of the Union address, which is scheduled for Tuesday. Democrats in Congress denied Trump the wall funding, arguing that the wall is wasteful and ineffective. Trump says it is essential to protecting the border. Trump chose CBS over his normal news outlet of choice, Fox News. On Sunday, the day before the CBS interview was announced, Trump took a rare shot at Fox News. “Never thought I’d say this but I think @johnrobertsFox and @GillianHTurner @FoxNews have even less understanding of the Wall negotiations than the folks at FAKE NEWS CNN & NBC!” he wrote. CBS will broadcast the matchup between the New England Patriots and Los Angeles Rams from Atlanta, home of the Falcons. Trump will be rooting for the Patriots. “Congratulations to Bob Kraft, Bill Belichick, Tom Brady and the entire New England Patriots team on a great game and season. Will be a fantastic Super Bowl!” he tweeted on Jan. 20 after the Patriots narrowly beat the Kansas City Chiefs to advance to the big game. He did not congratulate the Rams. The president also used the word “Patriots” in a Jan. 21 tweet referring to the federal workers who weren’t getting paid during the shutdown. “To all of the great people who are working so hard for your Country and not getting paid I say, THANK YOU – YOU ARE GREAT PATRIOTS! We must now work together, after decades of abuse, to finally fix the Humanitarian, Criminal & Drug Crisis at our Border. WE WILL WIN BIG!” he wrote.